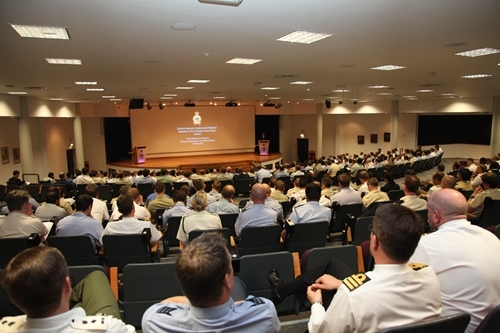 It is my pleasure to come back to the Joint Services Command and Staff College. In February 2012, you most kindly invited me to give a talk here. In that talk, I discussed "Sun Tzu's Wisdom Behind China's Diplomacy and Defence Policy". I drew inspiration from wisdom of ancient Chinese civilization. Today, I wish to discuss contemporary Chinese vision, and one specific topic stands out more than the others. It is the concept of the ‘China Dream’. To understand the ‘China Dream’, one has to understand China first. · and one undergoing profound changes. This portrayal of China may be very concise, but it is very precise. China is the largest developing country. It is where heritage meets dynamism. In the past three decades China has been working very hard to deliver reform and development. With memories of all the hardships behind us but never forgotten, China is committed to its chosen path towards national rejuvenation. Bearing those factors in mind, it is quite easy to understand the ‘China Dream’. It is all about where China pictures itself in the future. It is fundamentally about prosperity and renewal of China as a nation and better lives for every Chinese. To get where the Chinese people are today, China has gone through more than its share of trials and tribulations. To be where the Chinese people want to be in the future, China has to be unwavering in the pursuit of its commitment. · It is not a Chinese version of ‘Manifest Destiny’. · It is not a Chinese edition of ‘Pax Britannica’. · It is not a military ambition to seek revenge on past injustices. · It is not a plan to lock in resources, markets or benefiting at other's expense. The ‘China Dream’, being none of those, is born with peace, development, cooperation and mutual benefit written into its DNA. The ‘China Dream’ is a concept with peace as its foundations. It is a conviction, which is much like air and sunshine, fundamentally existential but too often taken for granted. For the Chinese people, traumatic memories from foreign invasion and occupation make us value our peace and development today all the more. It is why China is such a champion of peace and opponent of war. Peace enables international cooperation and makes it possible for hard work to pay. That is how China has come this far during the past three decades. The ‘China Dream’ is one of development, the wanting of which makes lasting peace untenable. Recently there was a technical report published by the World Bank. It forecasts China's economy will surpass that of the US as soon as this year in PPP terms. The prediction has hit headlines on many front pages and opinion columns. But we in China are relaxed about the prognosis. The reason is that China, of all countries, best understands where it is, both in the domestic agenda and on the world stage. · 200 million people in China are still living under the World Bank poverty line. · 74 million live on subsistence allowance. · 100 million live in poor housing in the cities and several times of that total of people are coming to the cities to work and build for themselves the life of their dreams. · To get where China wants to be, to build a better life for 1.3 billion Chinese, there is still a long way to go. There is no corner to cut. The ‘China Dream’ is one of openness and cooperation. · China is the top trading partner of 128 countries around the globe. · And China's foreign trade last year exceeded 4 trillion US dollars, making it the world's largest trading nation. · China bought 1.95 trillion-dollars worth of goods from overseas. · Foreigners invested almost 120 billion dollars in China. · Chinese invested over 100 billion dollars overseas. The ‘China Dream’ is one of mutual benefit for all humanity. The gains of China's development goes far beyond its borders. This is both a fact and an intended result. Over a decade ago, a British politician said ‘China's development is Britain's opportunity’. If it were still a vision with a question mark back then, it is already an accepted truth today. · For 4 straight years, British exports to China have grown by double digits. · Britain sells over twice as much to China now than it did 5 years ago. · Chinese investment in the UK is taking off. In the last 2 years alone, Chinese companies invested 13 billion dollars in this country. That's more than the sum total of the 3 previous decades. · British companies and banks are expanding their presence in China too. · The benefit of all these developments goes both ways. It has sustained China's continued development and helped the UK build momentum towards robust growth. Africa provides another example of mutual benefit. China's development is Africa's opportunity and vice versa. Both are doing well, and the world is a better place. This vision and quest of China will not be all plain sailing. Hard work is a must, but that alone is not nearly enough. · It could be the economy. · It could be security. · It could come from within or from without. As we meet today, security concerns both domestic and overseas are posing serious challenges. One major threat to China’s national security comes from ethnic separatists, religious extremists and terrorists inside and outside the country. According to China's first national security blue paper published recently, terrorist activities in China are rising in the context of their global resurgence. In 2013, there were 10 terrorist attacks in China, in more regions than previously was the case. Since early this year, there have been a number of gruesome attacks claiming innocent lives. The bigger picture in the world is not any rosier. There are upheavals in North Africa, in the Middle East and in Ukraine. East Asia too has its share of problems. You will be very familiar with the international order established in 1945 after the war against fascism. The 70-year-consensus is being put at risk by proposed constitutional change in some country. Some others, feeling they have their ‘backs covered’, are manufacturing troubles at the cost of regional peace and stability. As if that's not enough, the ‘determinist’ fallacy of collision between emerging and established powers muddies the water even more. This is the so-called ‘Thucydides's Trap’ that I have discussed on other occasions. But the subject keeps coming back. China is committed not to be swayed by such ‘determinism’. China does not see the world from a ‘zero-sum game’ perspective. But some nations do. Some seem deadly serious about ganging up to put China in the dock and accusing China of being a challenge and a threat. This approach serves no purpose. The cost is making international relations many more times complicated than needed. China's security outlook keeps evolving in these contexts. · Mutual trust comes from transcending the differences in ideology and social systems. It requires retiring out-dated attitudes about of the Cold War and Realpolitik. There is no place for suspicion or hostility in a relationship worthy of mutual trust. · Mutual benefit demands, for a start, mutual respect of other parties' security interests. Building on that, all parties need to create enabling conditions for others' security while working for that of their own. · Equality is the rule irrespective of differences in size, strength or prosperity. For greater democracy in international relations, every country deserves respect, equality and non-interference in its domestic affairs from others. In turn, this approach has to be reciprocated. 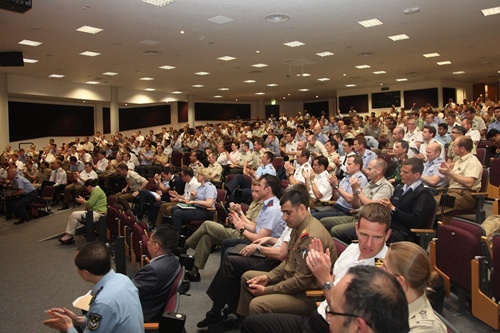 · Coordination is the way forward to neutralise risks of wars and conflicts. This is achieved by resolving differences through peaceful negotiations and working closely together on security issues of common interest. In addition to the more general principles on security, China also champions a new type of relationship between major countries. It features no conflict, no confrontation, mutual respect and mutual benefit. In the last century there was the tragedy of the two catastrophic world wars. The first started 100 years ago and the second started 75 years ago. Memories of these devastations should have given humanity enough reason and wisdom to avoid the follies of the past. Countries, emerging or established, should draw on these lessons of the past madness. All nations should work out a solution to the security dilemma for common peace and development. Recently, China has launched a new National Security Commission and proposed a new holistic approach to national security. This new Chinese approach encompasses many aspects of security, including security of the people, of the political system, the economy, defense, culture, society and international environment. · Domestically, China aims for development, reform, stability and security. · Internationally, China strives for peace, cooperation, mutual benefit and a harmonious world. There is focus on security in both territorial and human dimensions, on issues both traditional and non-traditional. China values both development and security, and while working on its own security, China cares about that for all. The Chinese people see their own security in the shared destiny of humanity. The 4th Conference on Interaction and Confidence Building Measures in Asia - or CICA - opens today in Shanghai. China is the chair country and host. In that role China is building on the new outlook and holistic approach to security. China is promoting a new Asian security outlook that is common, comprehensive, cooperative and sustainable. Efforts will be made to explore the establishment of a new security and cooperation architecture for Asia that is tailored to regional reality and needs. The ‘China Dream’ illustrates China's way ahead. This is guided, in no small measure, by China's security outlooks, and secured by our national defence. I make an assumption that no men or women in uniform like you disapproves of strong national defense! Given the diverse conditions of countries in terms of resources, security environment and place in the world, there are many shades of strength. But it starts with meeting basic security needs. It is the same in China's case. China's defense white paper published last year stated that the country is committed to building a solid defense and strong military befitting China's international standing, national security and development needs. I would like to offer 4 observations on that. First, China's growing defense capabilities is meant for safeguarding its own sovereignty, territorial integrity and development interests. China has a landmass of 9.6 million square kilometres. There are over 22,000 kilometres of land border, which is among the longest in the world. China has over 18,000 kilometres of mainland coastline and more than 14,000 kilometres of island coastline. China has more neighbours than any other country in the world. A strong national defense is necessary if we are to defend our territorial land, airspace and sea. In the past two hundred years China was invaded many times. China will never again tolerate foreign invasion forced upon its territory. As China’s outreach grows, the need grows by the day to protect its overseas assets, maritime passages and safety of Chinese citizens and corporations abroad. China needs to have the capabilities to protect its legitimate interests, and to deliver maritime convoy, overseas evacuations and disaster relief. My second observation is, the growth of our defence capabilities is modest and proportionate. Take the defense budget for example, which are reported by the IISS and Jane's publications to being growing robustly. · In 2013, China came a distant second after the US in terms of military spending. But even a distant second doesn't do China justice. Our economy last year was 56% of the US in size. while our defence spending was less than one quarter of that of the US. · According to the April report by SIPRI, defence spending accounts for 3.8% of GDP in the US, 4.1% in Russia and 2.3% in the UK. The world average is 2.4%, and China spends only a modest 2%. · On per capita terms, a Chinese citizen only spends 1/22 of his American counterpart on defense. To put it in more relevant perspective, a British citizen spends 9 times and a Japanese 5 times more than a Chinese. · And there's more to it than that. China's defense policy is literally defensive in nature. China has no military base beyond its borders. China deploys no forces overseas except peacekeepers and naval convoys off the coast of Somalia. My third observation is, the Chinese military is increasingly open and transparent. · Designations of 18 field armies. · Models of China's strategic missiles. The US Defence Secretary, Chuck Hagel, visited China in April. On the very first day of his visit he got on China's very first aircraft carrier. A few months ago, the PLA University of Science and Technology in Nanjing organised its 5th international cadets week. Among the participants there were two officers just graduated from RMA Sandhurst, Jason Johnston and Richard Levin. They had the company of the BBC crew which covered the week-long event. This was the first filming by foreign media in a Chinese military academy. A 30-minute long program about it, called ‘China's New Model Army’ was recently broadcast by the BBC. This is yet more evidence showing China's growing openness and outreach of defence cooperation. My fourth observation is, growing Chinese defense capabilities contributes to international and regional peace and stability. · China is the largest contributor of peacekeepers among the P5. China has sent over 25,000 peacekeepers to more than 20 UN missions since 1990. · China is the largest contributor of peace-keeping engineers, transport and medical staff among all 115 troop contributors. · China is the biggest financial contributor to UN peacekeeping missions among all developing countries. · Since 2002, the Chinese military has conducted 36 international emergency relief missions, having delivered £120 million pounds worth of relief supplies to 27 countries. · Since late 2008, China has deployed over 10,000 men and women in uniform, 45 naval vessels in 17 convoy formations in the Gulf of Aden and off the coast of Somalia. · China has been instrumental in convoy operations to destroy Syria's chemical weapons. Two Chinese frigates have completed over a dozen convoy operations since late last year. · After the MH370 incident, China sent 7 naval vessels and 3 military aircraft in search operations. "The lion of China has already awakened, but this is a peaceful, pleasant and civilised lion. " "Supreme excellence consists in breaking the enemy’s resistance without fighting." China will always stand for consultation and dialogue in managing differences with its neighbours. But on matters of major principle concerning our sovereignty and territorial integrity, appeasement is not an option. China will not provocate, but you can bank on preparedness to defend what is rightfully China’s interests. · Do not misjudge the situation. · Do not under-estimate China's resolve and capabilities. "...of all Clausewitz's blind spots, the blindest was that he never grasped that the true aim of war is peace and not victory; therefore that peace should be the ruling idea of policy, and victory only the means to its achievement." Peace is indeed China's ruling idea of policy, and victory in war is not a necessary means to such end. At the heart of the ‘China Dream’ you find peace. That is the core characteristic of China’s security outlook and defense policy. China is convinced that its dream and other countries' and peoples' dreams go hand in hand. China’s security and world peace and stability are one and the same. China's growing capabilities is not a threat to others and China needs all on board for that future of peace and development. 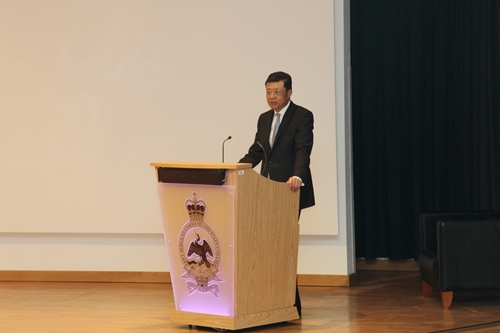 To wrap up, it is my great pleasure to discuss the China Dream, China's approach to development and security with military commanders from the UK and beyond. I hope you'll visit China some day soon. There can be great mutual value for you visiting Chinese military academies, barracks and naval ships. By studying, training and even exercising together with your Chinese counterparts, trust will grow at the expense of mistrust. Through a visit to China you will find for yourself what is the ‘China Dream’ and what it means to you.